My rating: 8.5/10, Great watch, luxury design. 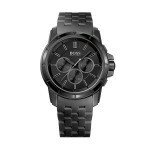 Hugo Boss 1513094 watch is another striking timepiece by the popular designer brand. 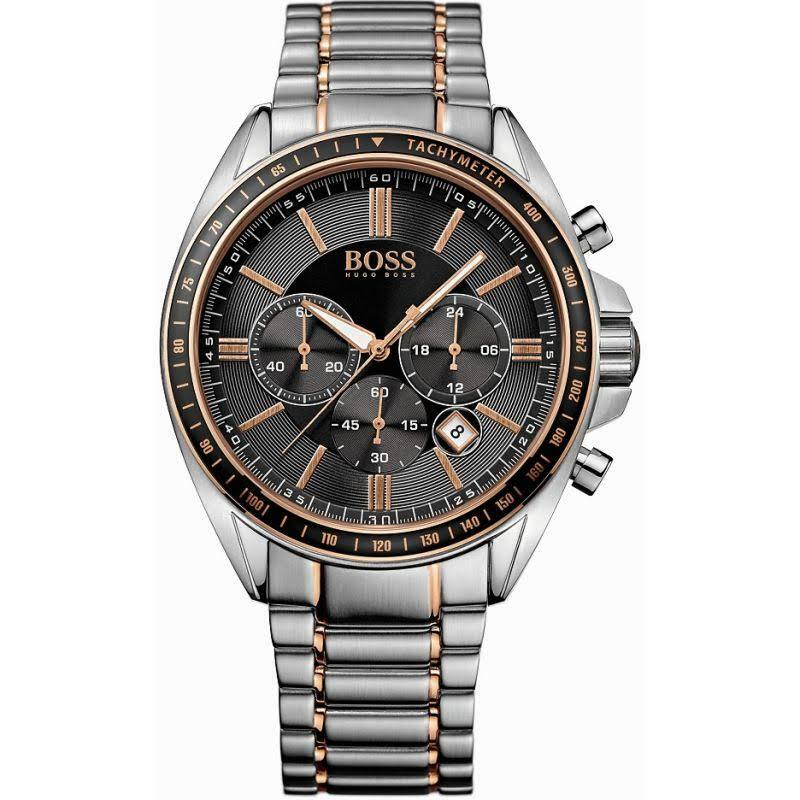 It has a sturdy build as you would expect from Hugo Boss, I rather like this two tone subtle design they’ve gone for with the stainless steel and rose gold blend. 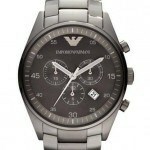 This watch has a large easy to read chronograph design with a case measuring 47mm. With it’s oversized design and modern style this is sure to be a popular watch. You may also like my 21 most popular Hugo Boss watches. Band Stainless steel strap with two tone design, standard length, push button deployment clasp. Case Stainless steel case, sizing diameter: 47 mm and thickness: 12 mm. Dial Chronograph dials with textured effect. Luminous hands. Magnified date display. Mineral glass, specially hardened to resist scratches. Due to it’s large size it may not be suitable for those with smaller wrists. 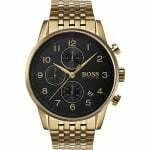 Hugo Boss 1513094 watch is ideal for those looking for a modern looking oversized style watch. The two design with the textured dial gives it that real luxury feel. Personally I rather like Hugo Boss’ oversized watches and have a rose gold one myself that I’ve always been happy with. If you’re after a big quality designer watch then this may well be perfect for you. As I mentioned earlier, the only downside is that as the watch is so big it may not sit right on a smaller wrist. Hope you enjoyed this Hugo Boss 1513094 review. Find more watch reviews below.